Thursday, March 29, 2018: Boxing is returning to Niagara Falls with the most star-studded lineup the city has seen in a ring yet. Lee Baxter Promotions is proud to announce the signing of the exciting two-time world title challenger Dierry Jean (29-2-1, 20 KOs) of Montreal. The 35-year-old boxer has shared the ring with the best in the world, fighting in the world championship with Terence Crawford (26-0-0) and Lamont Peterson (31-2-1), in addition to serving as training partner to the future member of the Hall of Fame Manny Pacquiao. “We are very happy to have gotten in touch with a spectacular boxer like Dierry Jean. He will make a first comeback fight, then he will be back in the world rankings and we expect to see him in big fights by next year, “said Lee Baxter, president of Lee Baxter Promotions. 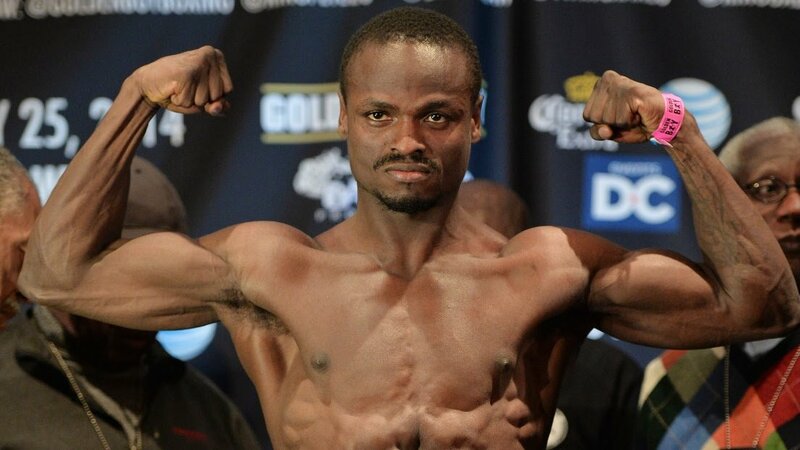 Jean will face Mexico’s Juan Armando “Tortuga” Garcia (21-6-2, 12 KOs) in his return on May 19 in Niagara Falls, Ontario at the Scotiabank Theatre. Garcia is a rugged customer who will be making his sixth visit to Canada, where he has faced some of the country’s best in Mian Hussain, David Théroux, Samuel Vargas, Ayaz Hussain and Mathieu Germain. It will be a perfect return test for Jean, who will be at his first clash in just over a year, after putting his life back on track and returning to the Underdog Gym in Montreal. The main event of the evening will feature Toronto’s Samuel Vargas (29-3-1, 14 KOs) to Dominican Republic champion Julio “La Para” De Jesus (26-1-0, 24K). Vargas, current 147-pound NABA welterweight champion, will be looking to earn a fifth consecutive win since losing to former world champion Danny Garcia. As for De Jesus, a six-foot tall welterweight, he won the Dominican Republic championship titles, WBA Fedelatin and WBA Fedecentro during his career, which began in 2010. De Jesus packs serious power, with 24 of his 26 wins coming by way of knockout. The bout will take place at a catchweight of 144 pounds, as Vargas gradually ventures down to the light welterweight division. This will be Vargas’ final defense of the WBA-NABA welterweight title before Baxter says he will go after a regional title at 140 pounds with one of the four major sanctioning bodies. The card will also feature three-time national champion Anthony Lenk, who will cross the border from his native Niagara Falls, NY to fight in Canada for the first time as a professional. Lenk is signed to Evander Holyfield’s The Real Deal Boxing. In addition to Lenk, local talent will also come in the form of Josh Lupia, the 2-0 Canadian welterweight prospect with a rabid following in Niagara Falls. Lupia was a Canadian amateur standout, and most recently scored a second round KO over Dario Ortiz in the Domincan Republic. Tickets are on sale now via ticketpro.ca or by calling 1-888-655-9090. Tickets start at just $60, and VIP tables will be available upon request.